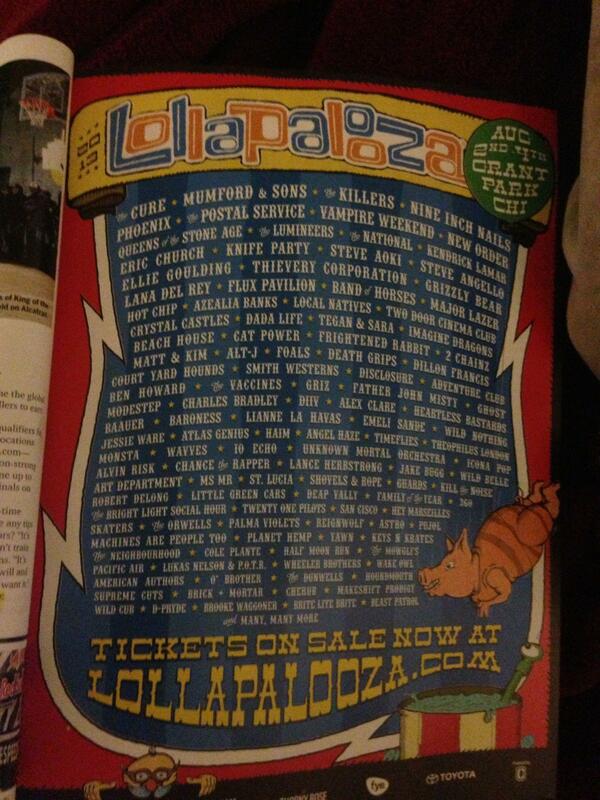 Just a day after general admission Lollapalooza passes sold out within an hour, images of an alleged lineup flyer have surfaced online (see below for photograph). The source is unknown. The official lineup is scheduled to be released on April 9. 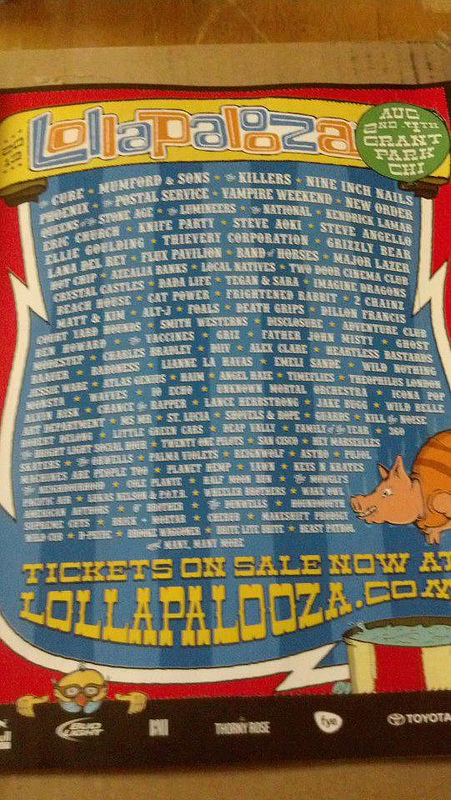 Newsday earlier reported Vampire Weekend, Mumford & Sons, Phoenix, The Killers, The Postal Service and The National were all confirmed acts. 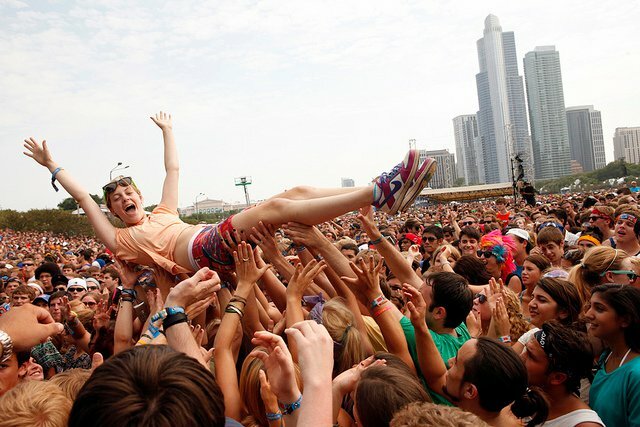 Lollapalooza is set for August 2-4, 2013 at Chicago’s Grant Park. While GA tickets are sold out, single day, VIP, platinum, and travel packages are still available.